A worthy final. Sincere thanks must be offered to the sponsors, who are generous to our young female players. Thanks also to Traci Whitfield and Julian Clissold for immaculate arbiting. A successful weekend! 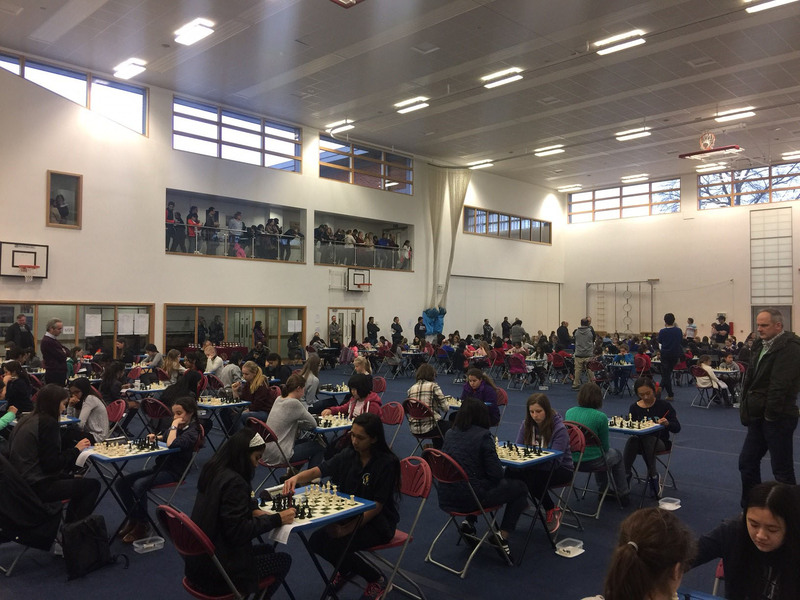 7th = Howell’s School, Wimbledon High A, Putney High A, Heathside A 10; 11th = NLC B, Putney High B 9.5; 13th = St Christopher’s Belsize Park A, NLC C, Wimbledon High C, Brook Field 9; 17th= NLC F, St Christopher’s B, St Dunstans 8.5; 20th= Sutton High Megas, Sutton High Warriors,Yateley Manor A, Guildford High B, Heathside B, Amherst 8; 26th= Sutton High Knights, NLC G, NLC D, St Cat’s B 7.5; 30th= Farlington,Walthamstow Hall, Sutton High Stars, Tormead B, Devonshire B 7; 35th= Wimbledon High D,Headington Prep 6.5; 37th NLC E 6; 38th= Putney High C, Heathside C, Sutton High Bishops, Auriol 5.5; 42nd Wimbledon Park 5; 43rd = Wimbledon High E, St Christopher’s C 4.5; 45th= St Cat’s D, Yateley Manor B 3.5; 47th= St Cat’s C, Sutton High Queens, Edgeborough 3; 50th Reserves – five extra girls stepped in throughout the day to fill in as required. Entries are invited for the 2016/17 ECF National Schools girls team championships, sponsored by St Catherine’s School, Bramley. Teams are made up of three players, and the entry fee is £10 per team. There will be two semi finals – South and North – which will be held on Saturday 14th January (North) and Sunday 15th January (South) 2017. 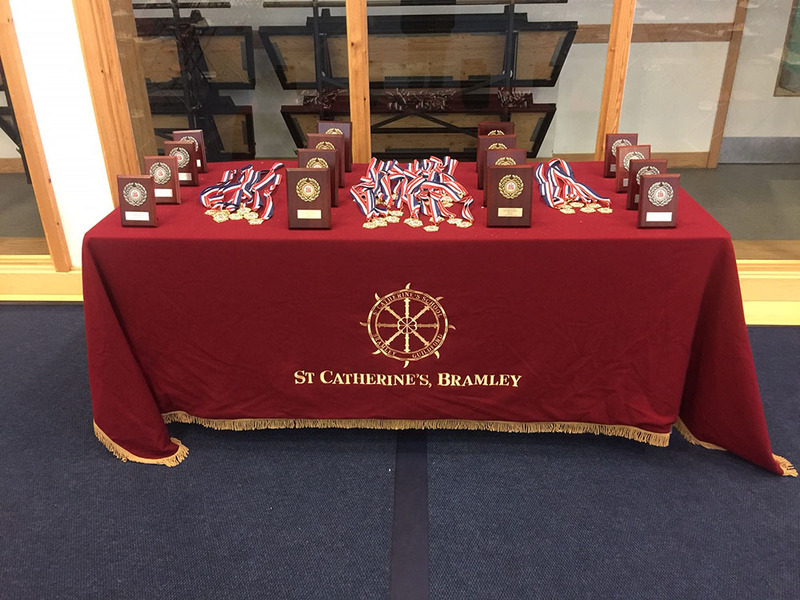 The southern semi-final will take place at St Catherine’s School, Bramley GU5 0DF, and the northern semi-final will take place at Bridgewater Independent School, Drywood Hall, Worsley Rd, Worsley M28 2WQ. The finals will be held over the weekend of 1st/2nd April 2017 at St Catherine’s School. We look forward to welcoming old friends and new schools alike to this thriving, friendly competition. Our mission is to encourage as many girls as possible to take part, and to provide them with the best possible conditions for play. We welcome beginners, novices and all standards up to international level.